Abstract deadline for the 3rd Annual Ray Browne Conference on Cultural and Critical Studies has been extended to January 18, 2016. Abstracts of no more than 300 words should be submitted to https://orgsync.com/10612/forms/165745. Panel, roundtable, performance, poster, artistic display and other non-traditional session proposals are welcome and should include a 300-word abstract and contact information for all participants. Full conference website: www.bgsu.edu/raybrowne. Theories about the concept of time have challenged the way we see and experience the world around us, and time pervades every research project imaginable. Yet time defies a single meaning for the world’s populations, past and present. Timelessness, too, is critical to understanding social constructs, nostalgia, memory, etc. This year’s Ray Browne Conference on Cultural and Critical Studies is inspired by scholarly and popular attempts to grapple with conceptions of time in the past, present, and future. From interpretations of memory/loss to the popularity of dystopian future narratives, and from film reboots to social justice, the concept of time shapes understandings of our cultures and ourselves. By studying time and its influence on politics, popular culture, and everyday life, we seek work that asks how the “here and now” is shaped by the “before” and helps create the “after.” Examining critical and popular relationships with time reveals the impetus behind nostalgia machines, science fiction, the technological advances of our near-future, and other aspects of continuity and change. This year’s conference theme draws on multiple disciplines and perspectives on time, reconsidering ways of writing about, discussing, and even experiencing time. We invite scholarship that addresses the impact of time on our understandings of the past, present, and future, in the broadest sense. Submissions are welcome in, but not limited to, the below subject areas. Subject Areas: Subject area listings are suggestions only. All papers will be considered for conference acceptance regardless of subject area or topic. If you have a paper you wish to submit, but do not feel it fits within any of the subject areas listed below, please choose [Other] on the submission site. Undergraduate Sessions: We welcome all undergraduate student papers in this subject area. Undergraduates are also welcome to submit their abstracts to one of the above subject areas for consideration. 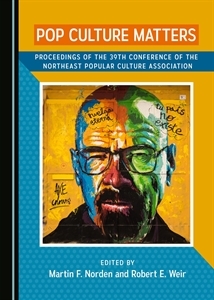 The third annual Ray Browne Conference on Cultural and Critical Studies is co-sponsored by Culture Club: Cultural Studies Scholars’ Association and Popular Culture Scholars Association within the School of Cultural and Critical Studies at Bowling Green State University.